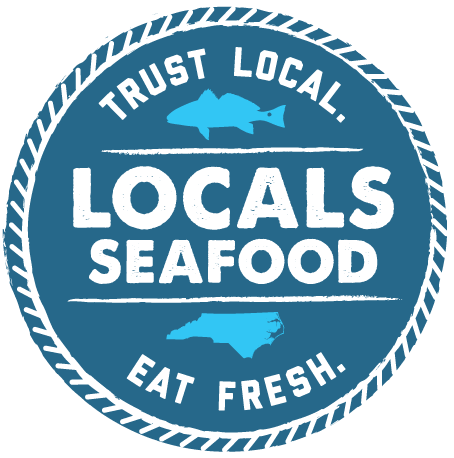 “Three key factors distinguish Locals Seafood: traceability, turnaround time, and in-house operations. We value the people and places behind the items we sell. We drive to the coast 3-4 times each week to hand select the best catch from fishermen and fish houses on the coast. Whether it’s blue crab from Denny Reynolds in Columbia, red drum from O’Neal’s Sea Harvest, or shrimp from Luke Midgett in Stumpy Point, personal relationships with sources result in a better product for our customers.